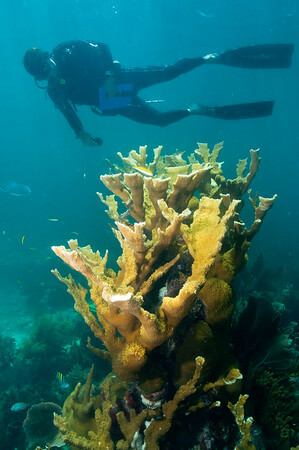 South Florida is known for it's coral reefs, seagrass beds, and mangrove habitats. 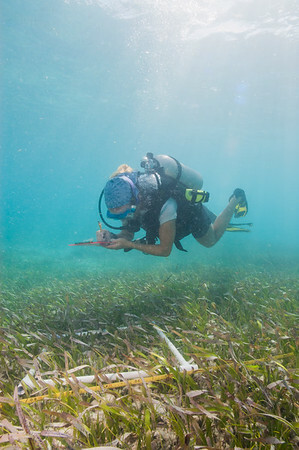 The National Park Service and other governmental and academic partners conduct regular inventory and monitoring activities to manage resources for future generations and mitigate threats to these sensitive ecosystems. 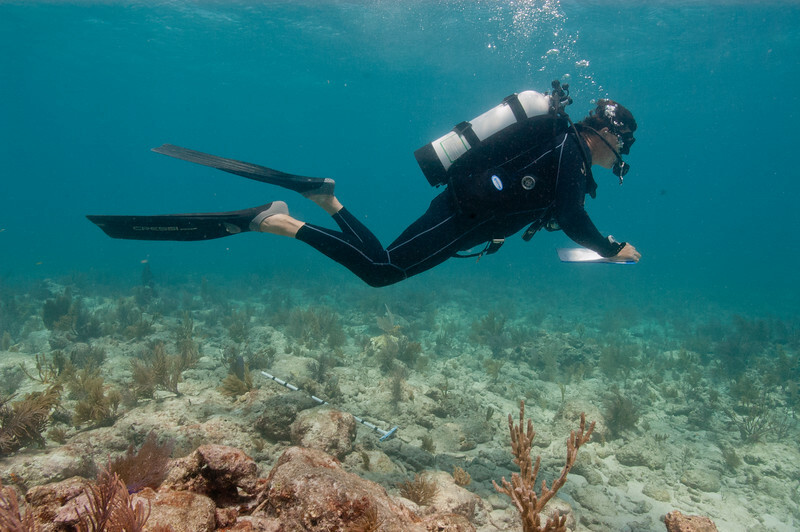 Biscayne National Park biologists measure post-larval recruitment of Florida's spiny lobsters. 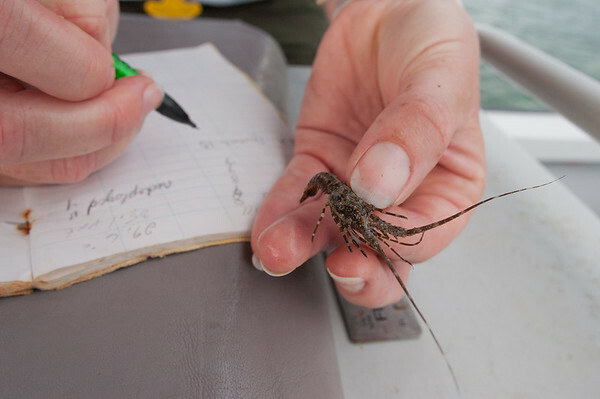 Post-larval lobsters are perhaps the cutest arthropods I have seen! 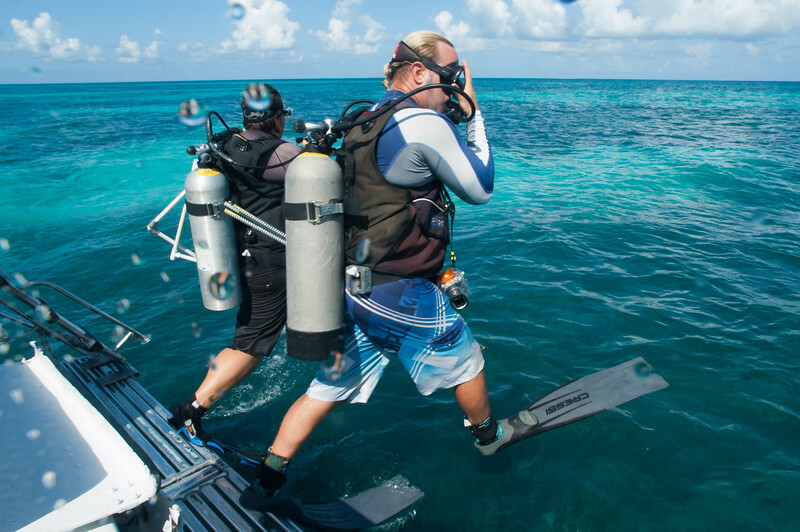 Biscayne's mangrove islands have a very shallow sloping beach, so the park staff must wade to and from shore to monitor the turtle nesting beaches. 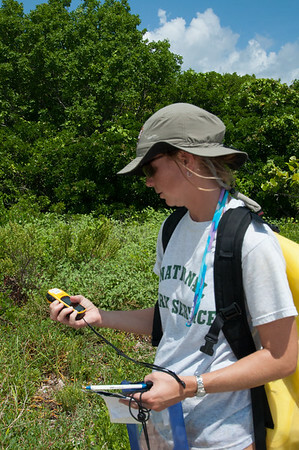 A Biscayne National Park biologist records a GPS location of a turtle nest on Elliot Key. 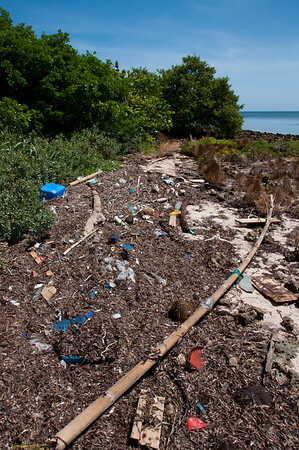 The windward beaches of Biscayne's mangrove islands are constantly strewn with marine debris. 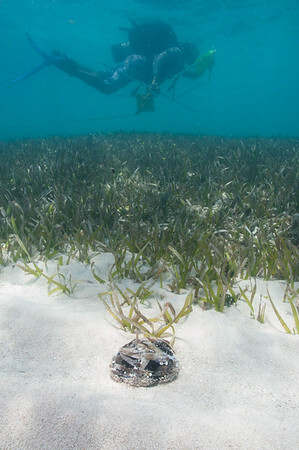 No turtle should have to haul through this to nest...and it isn't exactly a pretty sight for us human either, is it? 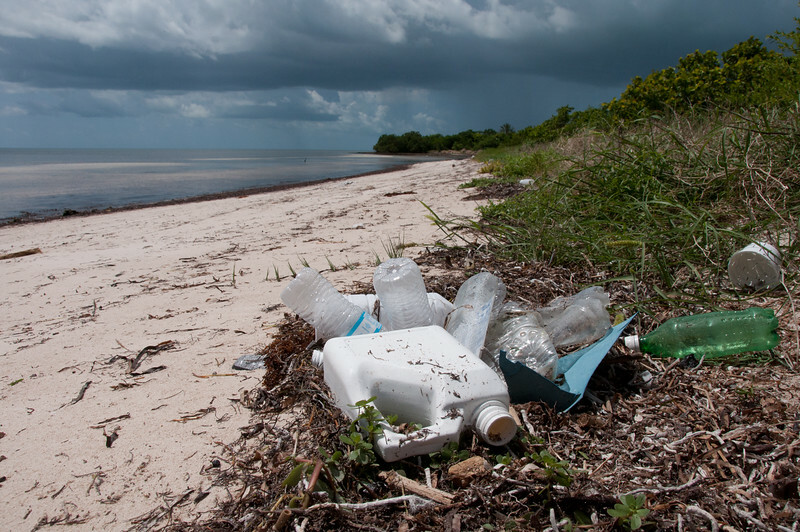 Plastic bottles are a very common type of marine debris. 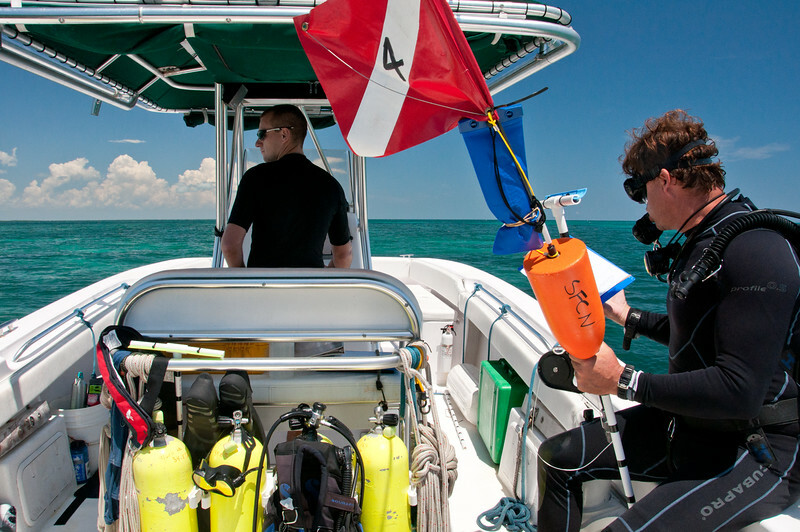 Reducing consumption of single use plastics is a great way help the oceans. 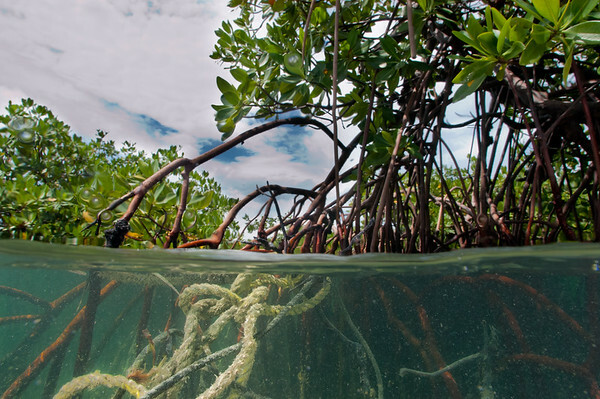 Although the mangroves many look pristine from the surface, lines and other debris are often tangled in the prop roots below the surface. 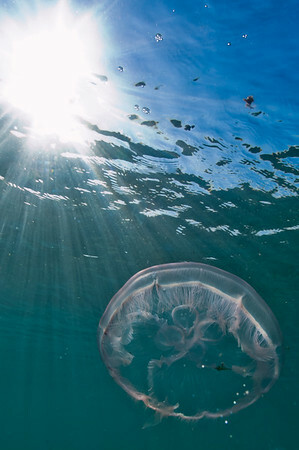 Moon jellyfish just under the waters surface. 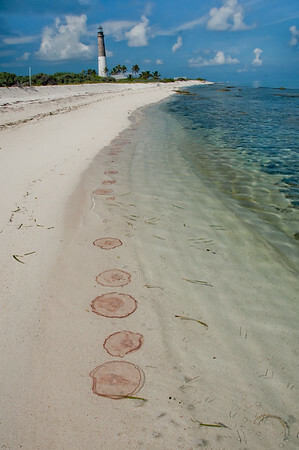 One of the many moon jellyfish that appeared in south Florida in the summer of 2011. 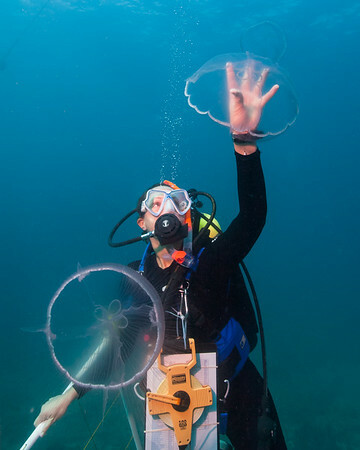 While ascending from a scientific survey dive in Biscayne National Park, a park diver gently clears a path to the surface through a swarm of moon jellies (Auralia sp.) 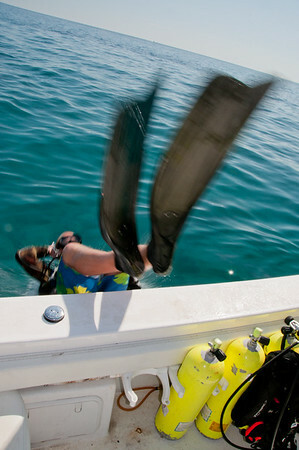 that had recently entered the waters of south Florida. 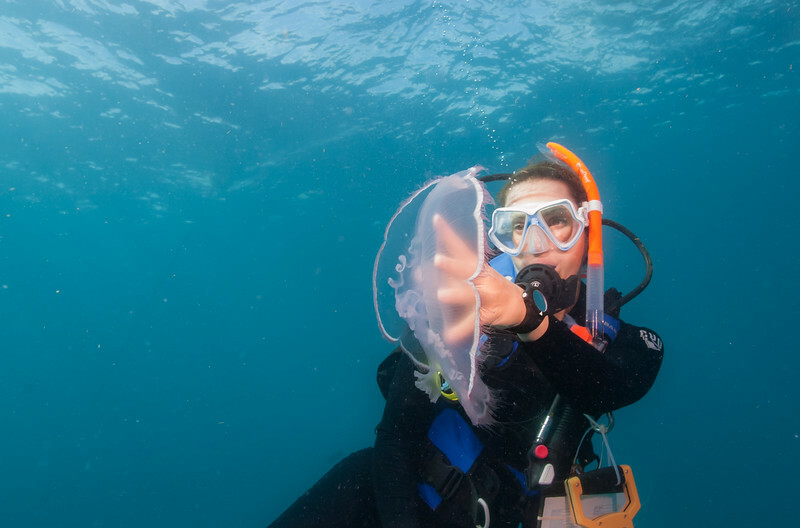 An increase in jellyfish swarms may indicate changes to ocean ecosystems, which the National Park Service is monitoring through long-term ecological studies of natural resources such as the coral reefs in Biscayne. 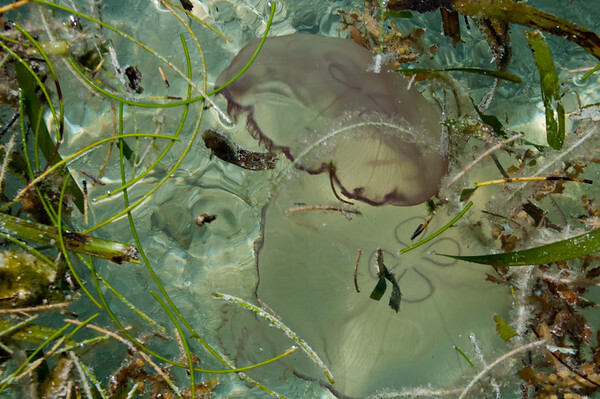 The bell of jellyfish does not contain harmful stinging cells, so they can be carefully nudged out of the way. 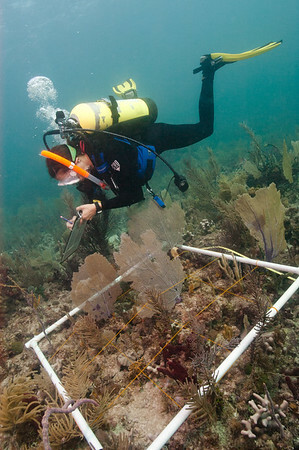 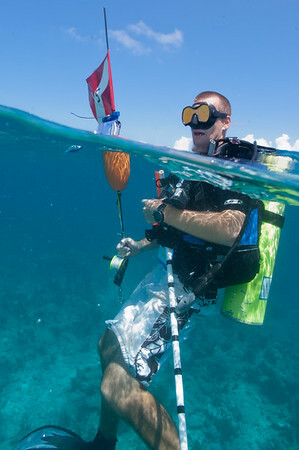 An NPS biological technician monitors benthic habitat in Biscayne National Park. 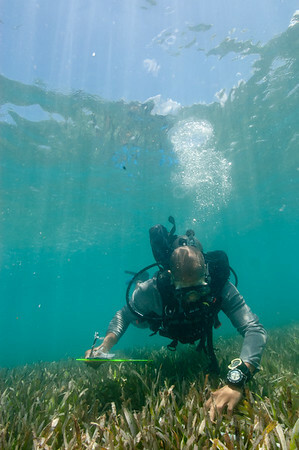 The NPS South Florida/Caribbean Monitoring Network at work in Biscayne National Park, Florida. 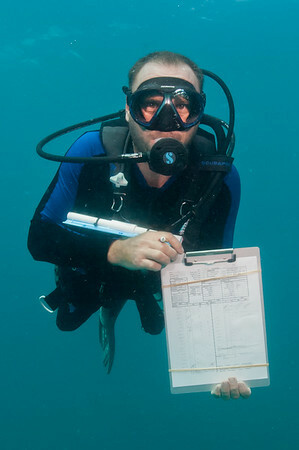 AN NPS SFCN Fisheries Biologist shows off his completed data sheet at the end of a survey dive in Biscayne. 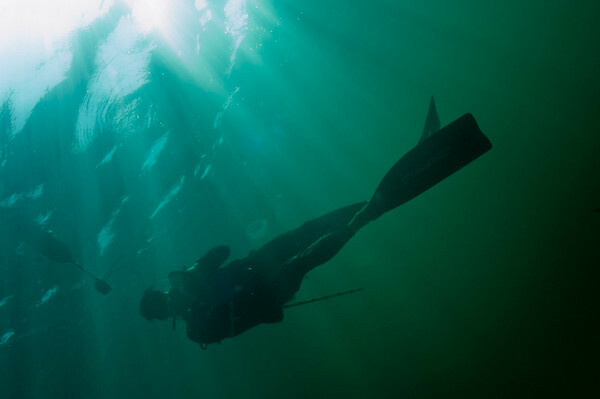 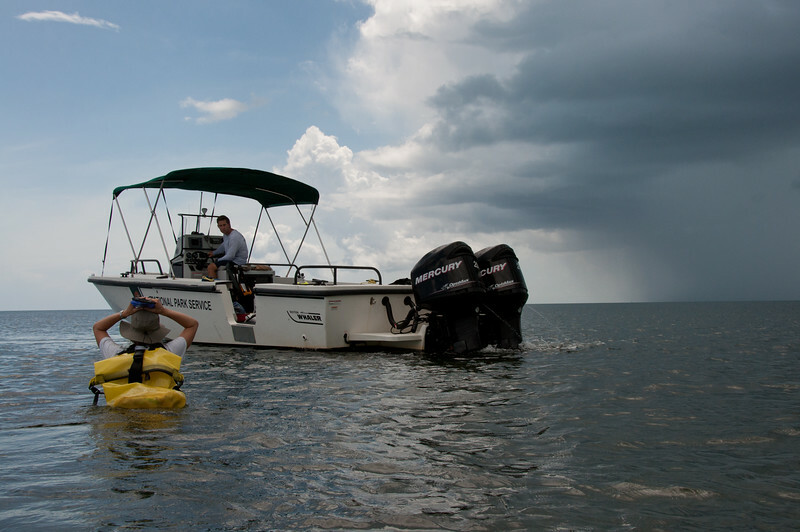 An NPS diverascends from a survey dive in the thick green water of a shallow site in Biscayne Bay..